TechNation contacted several people within the HTM industry to find out the latest advances in digital radiography, the most important things to look for in a DR service provider and more. The panel of those able to participate in the roundtable article include The InterMed Group Vice President of Business Development Dave Bauerle, Radiologic Service Training Institute (RSTI) President Dale Cover, Carestream Regional Business Manager for X-ray Solutions Cheryl McCarron and Cal-Ray, Inc. President John Snyder. Q: What are the latest advances in digital radiography? Bauerle: The most important advancements in DR regarding patient care include the introduction of true direct readout radiography, and the advancements in post-processing software. In the beginning, “digital” referred to CR, and required the X-ray techs to run the phosphorus plates through a CR processor before the image was ready to be read. By going to CCD, Gaddox, and most recently Cesium, the images are available to be read by the radiologist in 3-5 seconds. This saves the patient and facility a huge amount of time. Over the last 10 years, the biggest advancement in patient care would arguably have been the enhancements to post processing software. Today’s acquisition suites have come a long way since their introduction in the early 1990s. Using advanced algorithms, techs are able to use less radiation to obtain the same image detail and quality. In my opinion, lowering the doses is one of the most valuable things we can do for our customers. Cover: Digital radiography has many forms; the fixed installation detector, wired and wireless movable panels that require interfacing to the individual X-ray systems they are used in and the latest configuration, the wireless panel can detect when they are being exposed. This functionality is referred to as Automatic Exposure Detection (AED). The ability to detect when the exposure begins and ends frees the panel from the need to be interfaced to the X-ray system. This freedom allows the panel to be used with any X-ray system in the hospital. It is convenient that this advancement would come along just as regulatory pressure is being applied to the other free use digital medium (CR) in an effort to phase it out. Other advances in digital include new image stitching techniques that combine multiple images into on continuous image, dual energy imaging that can help with specific tissue image enhancement and tomosynthesis that creates images that can be viewed in 3 dimensional decks and reduce superimposition. McCarron: The introduction of wireless DR detectors revolutionized X-ray imaging. Some of the latest detectors offer advanced image quality, greater reliability and faster capture speeds. The ability to register all DRX detectors with all DRX portable and room-based systems delivers exceptional flexibility and redundancy. The latest innovations in DR include advanced applications such as tomosynthesis and dual energy. I think you will see more of these kinds of applications being developed in the future. Snyder: As it relates to DR, I would have to say tomosynthesis is beginning to be recognized as a valuable and cost-effective study in orthopedics. Several OEMs are now offering this feature with general radiographic suites, and on remote RF systems. This functionality can provide improved detail visibility, over CT. Standing and weight-bearing studies can also be done with tomosynthesis. Q: How can a facility with a limited budget meet its digital radiography needs? Many consumers think they need a complete RAD room overhaul when upgrading to DR. While this can be true, much of the time they are able to use their existing RAD equipment, and only replace the CR/wet film processor with a new digital detector. If shopping for a digital portable, consider a retrofitted AMX4+. Almost all of the digital manufactures offer a retrofit kit, and can provide a portable DR solution at a fraction of the cost of a new DR portable. Of course this would not be a straight comparison, but for a site looking for a lower cost option this could be a great solution. Cover: The type of DR solution that would be most suitable for any facility would be determined by how they operate and how many systems they have. The small private practice facility would be well served with one of the interfaced DR panels of which there is no shortage of options to choose from. Competition at this market has driven cost down recently. For the larger facility trying to move away from CR, the wireless panels with AED would be very effective at maintaining the way the department operates. Cost effectiveness in any case would lean toward adding new digital panels to existing standard X-ray rooms rather than buying a whole room designed from the ground up to be digital. McCarron: Retrofitting mobile units and rooms with DR detectors allows facilities to extend the life of X-ray systems while achieving rapid access to high-quality images. In addition, Carestream DRX detectors can be registered for use on any DRX system, enabling detector sharing for more efficient utilization and a lower investment. As an example, health care providers can use a detector in a portable system for early morning rounds and then transfer it to a DR room for use during the day. Snyder: We are seeing smaller hospital groups, affiliating with or being acquired by larger medical systems. The days of the small independent medical facilities is nearing the end. 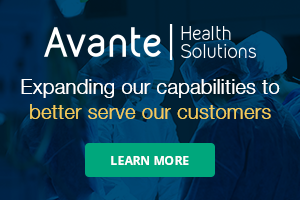 Those that remain can join GPOs like Vizient and HealthTrust and find savings when buying equipment. Q: What are the most important things to look for in a digital radiography service provider? Fixed, tethered or wireless panels? This is all buyer preference and has no effect on the quality of the image. Talk to your RAD team, and discuss the best option for your site with a knowledgeable DR advisor. What kind of detector – CCD, Gaddox (GAD) or Cesium Panels? These are currently the three different types of digital detectors. CCD detectors are no longer in high volume production, with all DR panels moving to GAD or CSL. Gaddox is the lower cost standard, with Cesium being the higher quality. Cover: I think this would be little different from having your car serviced. You would look for a reputable company with trained and qualified techs that has been in business for a number of years that gets good reviews from past customers. Now if you drive a Bugatti Veyron you may be inclined to go with dealer service. McCarron: Health care facilities need a provider that continuously upgrades its DR portfolio with new imaging systems, new detectors and expanded functionality. It’s also important to work with a provider that offers a comprehensive family of DR systems and detectors that can address a wide range of imaging needs and volumes. Virtually every imaging services provider is now able to purchase a DR system that meets their needs. It’s important for biomed professionals to work with a supplier that has a service partnership program with varying levels of support. At Carestream, we enroll biomeds in the same training courses as our service engineers, so biomeds are fully equipped to service and support DR detectors and systems at their facility. And biomeds – along with other users – provide feedback that we use to design new imaging products. Snyder: Digital X-ray products can be found today from many dealers and OEMs. The equipment providers that have experienced engineers, that understand networks, PACS, in addition to knowledge in X-ray physics and hardware will be successful. Secondly, applications support, that ensure the operators are fully trained on the use of the technology and skilled in proper dose control. Applications specialist also know how to adjust the image quality to the acceptance of the reading radiologist. Q: Is it possible to keep up with the latest digital radiography technology without buying brand new? Bauerle: Possible, but not recommended. Because of the lack of service options if a system gets damaged, I always recommend going for a new DR included with a real warranty. Now that DR has been around for a while, we are seeing more used systems hit the market. A lot of the time these are great systems but if it breaks, be ready for a hefty bill to replace. Cover: As far as replacing panels goes, you could maintain the same imaging system and upgrade to the new panel. Technologies like tomosynthesis and dual energy would require that the entire system be replaced. There won’t be a strong pre-owned market for some time. Heck, some systems are still awaiting FDA approval. McCarron: Retrofitting existing imaging systems with DR detectors is an excellent way to achieve enhanced image quality from existing X-ray systems. Snyder: Today’s marketplace is being flooded with old CR and tethered DR panels. Most of the older DR solutions on the used market are running windows XP which is no longer supported. Knowing which used DR panels on market can be used with Windows 7 and 10 operating systems would be helpful for those looking for low-cost entry into digital imaging technologies. Several older Canon DR panels, for example, can run on Windows 7 and the latest Canon software. Q: What are the biggest challenges health care facilities must overcome in regards to servicing digital radiography devices? Bauerle: The biggest challenges faced by health care facilities is that there is very little able to be done if a panel gets damaged. A great deal of care should go hand-in-hand with the use of these detectors. Outside of that, if it breaks, it will need to be replaced in most situations. Facilities are able to purchase additional warranties and drop coverage, depending on their needs and expected level of use. These options should definitely be considered at time of purchase. Cover: The challenges for digital radiography systems are similar to other high-tech imaging systems. Black box technology leads to expensive replacement parts. New technology leads to training and service support needs. Many of these new technologies require specialized test fixtures and equipment. Sufficient documentation could be another road block to efficient in-house service. McCarron: One of the biggest challenges has been preventing damage to a detector due to mishandling or accidents. The detector is carried around by health care personnel from one setting to another. It is in and out of protection bags and buckys. Drops, dings and spills happen. 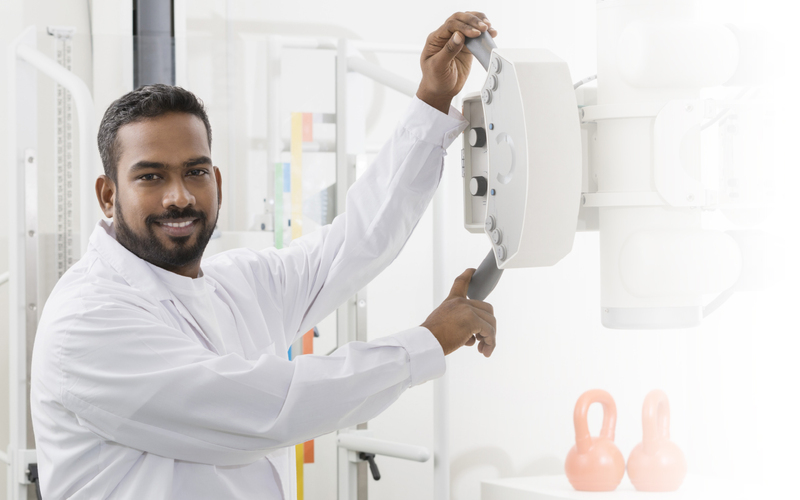 Most vendors have accident protection plans to help defray the cost of replacements, but education is important to ensure that radiologic technologists handle the equipment carefully. Snyder: I believe one of the biggest challenges is getting drop protection for their detectors. No one likes to replace broken panels damaged by an accidental drop. Protection plans are coming down and many new panels today come with one-year drop protection included. Additional protection plans are available for older working panels as well from insurance and OEMs. Q: What else do you think TechNation readers need to know about purchasing and servicing digital radiography? Bauerle: The different options and configurations can be overwhelming, even to a seasoned radiology director. Working with a knowledgeable, vendor-neutral digital radiology provider ensures that you buy the right product for your needs. Cover: As new technology comes to the market there will be some lag but parts, training and support services will eventually be developed. At RSTI, we always have our eye on emerging technology to determine where we can most effectively help our students with the tools they need to succeed in today’s high-tech imaging department. McCarron: The future promises new technologies and new software. Carestream offers advanced applications including grid software that applies to the chest and abdomen. We are also designing a new portable DR system that uses carbon nanotube technology to create a compact, lighter weight system to expedite bedside imaging in crowded critical care areas. We continually look to our customers, including biomeds, to provide feedback and ideas on new imaging solutions. The continued development of advanced applications and technologies creates an even greater need for well-trained biomeds with expertise in electronics and IT technologies. Snyder: Negotiating training for biomeds at the point of sale would be beneficial for those buyers with in-house biomed and clinical engineering departments. Being wise to the differences between DR panels on the market and understanding that cheaper isn’t better in most cases. The investment must encompass thoughtful consideration to OEM longevity in the industry, durability, IPX ratings, weight of panels, image quality and drop protection.